On my long list of Things That I Don't Understand But Probably Should is cars. They're in good company with airplanes (they're massive and heavy. How in the world do they go up? ), telephones (I dial numbers and a phone on the other side of the world rings? What? ), television (the picture is sent through the air and somehow arrives on the screen? Really?) and many more. What I do know, however, is that the days of continually trading in for a brand new car year after year have passed for a lot of people and quality really is key. 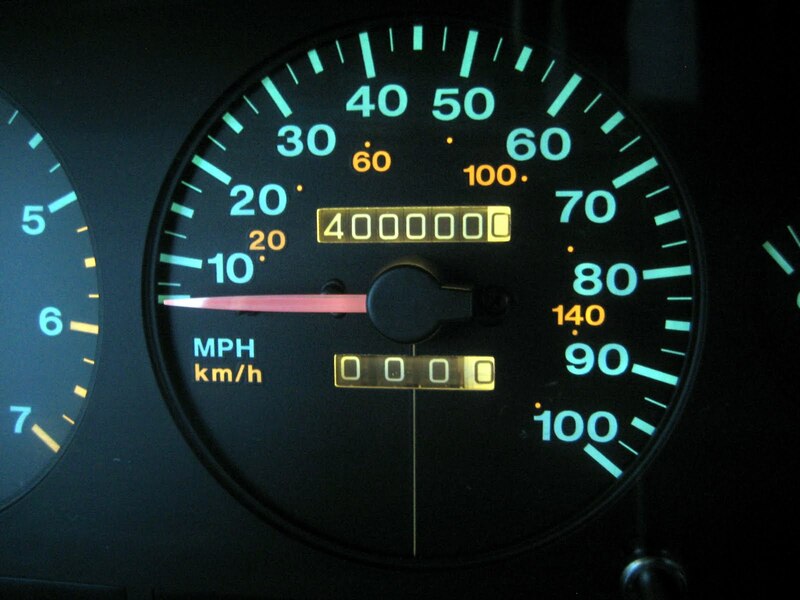 Instead of tossing more money out the window unnecessarily, there are countless drivers that take pride in a vehicle that is a little older and has racked up high mileage. 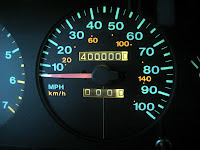 And now, thanks to Jiffy Lube, there is a Facebook community just for celebrating the miles you've logged and the milestones your have reached with your car: Keeping My Ride Alive. With the creation of Keeping My Ride Alive, those drivers who aim to attain high mileage on their vehicles now have a place to share their personal story, upload an image of their ride or just browse the galleries and chat about how they keep their car running smoothly. 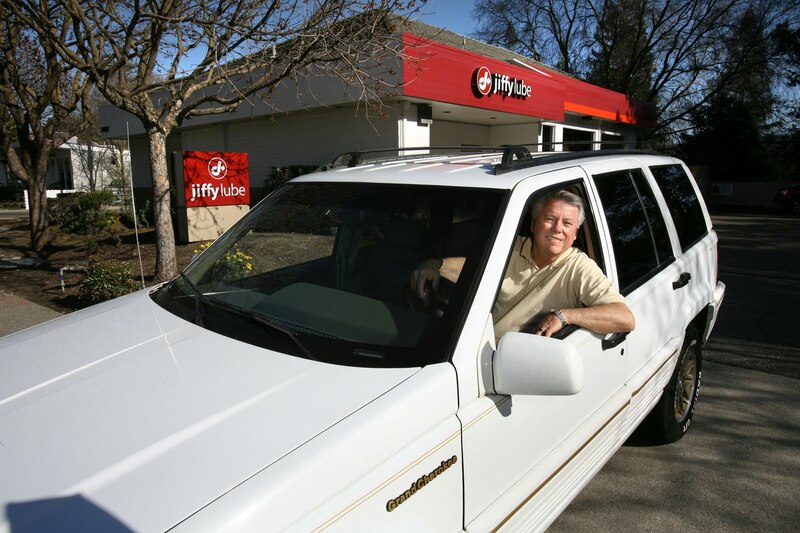 According to a recent study conducted by Jiffy Lube International, more than half of U.S. drivers hope to have more than 150,000 miles on their vehicle before replacing it with a new one and more than a quarter are hoping to make it to 250,000 or more. But... how do we get our car to that point? When it comes to holding onto vehicles longer and extending the life of any one car, drivers know that regular maintenance can make a big difference. However, people are busy and, just like other aspects of life, the best things are easy and convenient. Everyone knows that a regular oil change is extremely important to help protect your vehicle's life, but what we all are now looking for is to have other key vehicle parts and fluids checked at the same time... and have it all done in 30 minutes or less. Doesn't it make sense to have multiple services performed quickly and in a single visit? Who wants to have to be without their car for any longer than they have to or have to return again the following month? Jiffy Lube understands all of that and offers the Jiffy Lube Signature Service Oil Change in order to meet the various needs of today's drivers. More than just an oil and filter change, included are the changing, inspecting, checking/filling and cleaning of many key vehicle parts and fluids (e.g. tire pressure, brake fluid, power steering fluid, exterior lights and many more) and they will even clean the exterior windows and vacuum the floors. Practical convenience all in one! As keeping a vehicle alive and running beyond its years is a source of pride, particularly in tough economic times, it is time for like-minded enthusiasts to have a place to celebrate their high-mileage accomplishments. 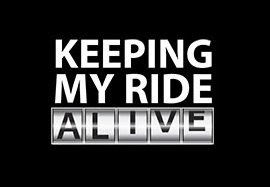 Whether your odometer is showing double or triple digits, head over to Keeping My Ride Alive and check out the community. 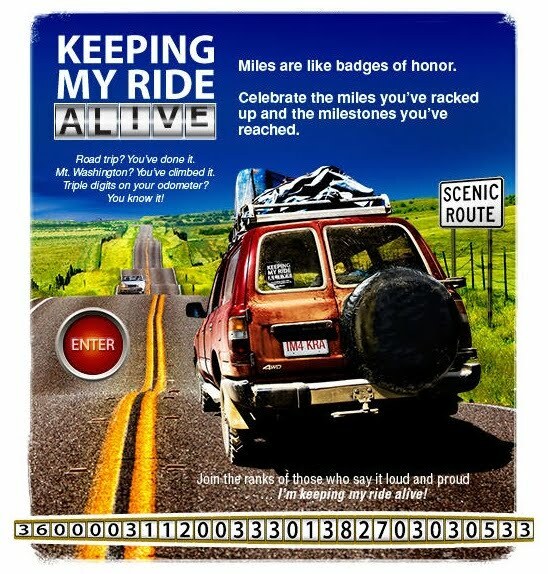 Then share your story by uploading an image of yourself with your vehicle into your mileage category! Two lucky people will win a $35 gift card to Jiffy Lube! 2,000+ locations across the country! 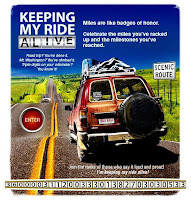 To enter to win: Visit Keeping My Ride Alive (click to enter) and tell me the mileage category your car fits in. If you aren't on Facebook, you can still enter this giveaway by telling me what mileage you hope to reach with your current car before having to replace it. Giveaway will end on September 24th at 11:59pm CST. Do me the favor of leaving an email address or making absolutely sure it is visible in your profile, I have to have a way to contact the winner. The winner will be chosen by random.org and announced here as well as emailed and will have 48 hours to contact me or respond to notification or a new winner will be chosen. This giveaway is open to U.S. residents only. 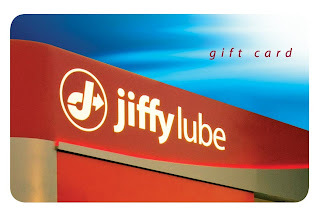 A big thank you to Jiffy Lube for providing the information for this post and two $35 gift cards for two lucky giveaway winners. The opinions shared are my own and honest and if you really need to see more, click here to see how I roll. I "liked" Keeping My Ride Alive on Facebook. I wrote on their wall about entering this giveaway. I entered another giveaway on Thanks, Mail Carrier. Mine is at 49,000... so about to move to the next level. Sad! I like Keeping My Ride Alive on FB (Randi Lynn) Thanks! I posted about your giveaway on Keeping My Ride Alive's FB wall. Thanks! Following via GFC #1 thanks! Following via GFC #2, thanks! Follow you on Twitter (mommy25girls) and tweeted! I am 'In The Club' - over 100,000, and in desperate need of an oil change! I hope I can keep my car running longer than I can keep the odometer running. No money for a new car! Hopping over from the blog hop! Hope to see you as a commenter/follower soon :) I always return the love. I hope to reach 300,000 miles on my Dodge Caravan before having to replace it. My car has 180,000 I hope it will last till 300,000! I follow you twitter and tweeted. my car is new and less than 5K miles, but the last one was in the 150K range. My car has over 100,000 miles on it. My car has 159,000 miles on it, and I've used Jiffy Lube right from the start. Just this week it needs some work, but if I can get it fixed, I'd like to be in the 300,000-miles-plus group. I also entered your Amazon GiftZip giveaway. I follow you with Google Friend Connect (entry #1). I follow you with Google Friend Connect (entry #2). I subscribe RSS (entry #1). I subscribe RSS (entry #2). I just hit 50,000 this weekend. I fall in the 50,000 to 100,000. My ride is in the Well On Their Way category! My car is in the over 50,000 miles category. Thanks! I'm in the club, over 100,000 miles.